Buy Classic Volks – Volkswagen Type 3 Squareback for Sale in Kenosha, Wisconsin. 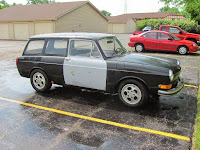 It’s a VW Type 3 Squareback built 1970 comes with 2-door wagon looking for new owner. 1970 Vw Type 3 Squareback. (2 door station wagon) Great shape, AR car. Has Porsche “phone dial” rims with BF Goodwinch tires. Have another set of stock tires/rims that will go will car. Have another set of doors also. 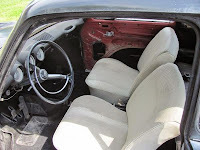 Has 1966 “lowback” front seats, stocks seats will come with. A ton of extra parts will go with also. (muffler, enough parts to rebuild engine, etc) Roof rack will go with car if I get what I want money wise. It is a project car, got it to turn over once. Clear title. Looking for $2500.00 OBO. This entry was posted in 1970, Closed, Squareback, USA, Volkswagen and tagged VW Squareback on September 5, 2014 by buyclass.